During the last 19 years of living at this home I've been through over 8 pool maintenance companies. I've been with Acepool for over a year and their service is ABSOLUTELY AMAZING WITH CONSISTENT PERFECTION! Great, reliable and honest which is more than I can say for any other pool service I've used here in Vegas so far! Owner is super nice, professional and knows his business! Would highly recommend! Kyle runs a great business that is professional, dependable, and responsive. I have had Acepool providing pool care for my rental property in Las Vegas for many years. They perform regular cleaning as well as maintenance (replacing failed lights, new filters, etc), and drain/acid wash/bead blast. It is refreshing to work with someone as great as Kyle. I can always depend on him for solid advice when things start failing, and the regular upkeep is great! Kyle is honest and dependable. My pool was way overdue for an acid wash and tile cleaning. Contacted the owner Kyle on a Saturday and within two business days the job completed. There were also several service items that needed attention and were assessed with me being involved and the problems were resolved. Flawless service with no drama. Prompt and professional service. Turns out my heater issue was just the gas line being off, so no charges. Will definitely use when a real problem comes up.  I don't normally write reviews, but Ace Pool Services deserves one. I have been using them for the last 8 years as has my Dad and we couldn't be happier. Kyle, the owner, is the most honest genuine person I know and you can completely trust what he says and does pertaining to the care and upkeep of your pool. My pool always looks in amazing condition and any issues are promptly addressed. I will use them for as long as I have a pool and will ALWAYS recommend them highly! I can't find enough good things to say about Ace Pool. I have been a customer for the past 5 years and will stay with them as long as they offer services. My pool always looks fantastic. The service is always prompt and professional. Any question or concern I might have regarding pool related issues is answered completely by the owner Kyle. A nicer person would be hard to find. I recommend them highly to anyone who owns a pool.